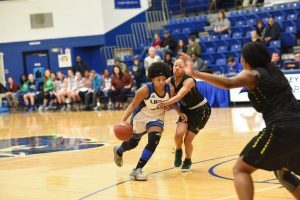 Teanna Curry is a 21 year old student athlete at Lindsey Wilson College where she plays the position of point guard for their basketball team. Teanna has a history of ACL injury in both her left and right knee. Her first ACL injury occurred in 2012 in her left knee, and she underwent surgery for that injury by another orthopaedic surgeon. After returning back to play however, she injured her opposite knee in November of 2018. This injury occurred when another player charged her and her right knee gave way with acute onset pain and swelling. Unfortunately, this resulted in a tear in her right knee’s ACL. After seeing Dr. Stacie Grossfeld, an ACL reconstruction was recommended. 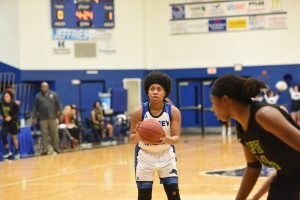 Teanna underwent her ACL surgery on December 20th, 2018. During the surgery Dr. Stacie Grossfeld also placed stem cell recruitment therapy in her knee. She has recovered from her surgery very well but what is even more inspiring is her story regarding her future. 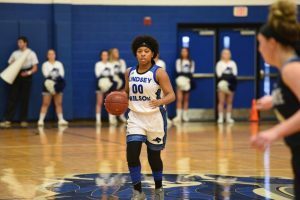 Ms. Currry got her college tuition 100% paid while attending Lindsey Wilson College from her basketball scholarship so she will graduate completely debt free. It is extremely hard to play a sport full time in college and obtain a college degree. Not only did she attend school during her knee surgery recovery, she is graduating from college in December of 2019. She will then start working on her Master’s degree while teaching. Teanna plans on becoming a principle and will work on her advance certification after teaching as a requirement to be admitted to that program. We are very proud of her and she is a great example for our future young #girlboss patients!